South Solitary is a rugged, remote island “off the mainland” of Australia. Despite the strong winds howling from the Antarctic, this bleak, blustery rock in the sea does have enough vegetation to support livestock and food necessary for the two lighthouse keepers, including the wife and two children of one. It is difficult as a viewer not to associate landscape with character. You really have to wonder what kind of people would choose to live in a place like it. They either enjoy being alone or have exhausted most opportunities afforded by living amongst people for various reasons. It is with such suspicion and unease I approached the inhabitants. 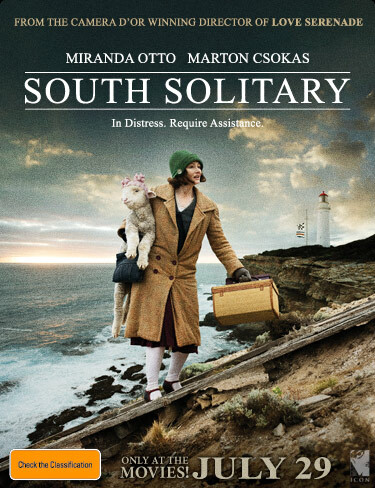 South Solitary is set in 1927 and opens with mid-30s Meredith (Miranda Otto) carrying a lamb (quite a prattling and superficial symbol) in a rowboat onto the island, escorted by a seasick uncle (played by Otto’s father, Barry Otto). He has been sent by the Commonwealth light-house service to examine reports of substandard operations of the light-house. He is all starch and proper procedure, casting a harsh and unfriendly energy on those around him. With Miranda, it’s due to love, we are told. He gets to work reforming the two current keepers. Rohan Nichol plays the married young father Harry Stanley. We can understand his urges—a man on an island—and we can understand where those urges lead once a new woman appears, but it’s instead the more complex and troubled WWI veteran, Jack Fleet (Marton Csokas), that slowly distils Meredith’s interest. 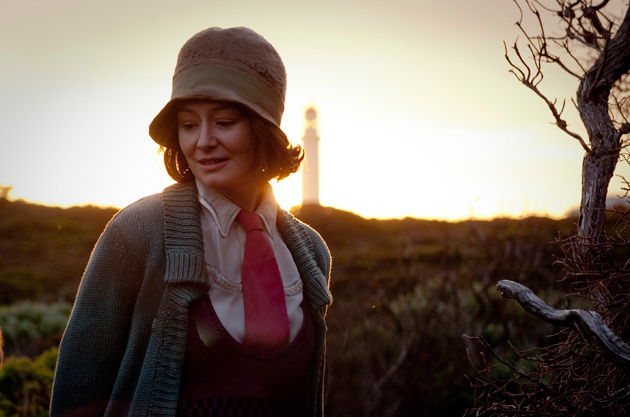 Writer/director Shirley Barrett became intrigued when reading old light-house logs from various islands around Tasmania. In an era before radio, the isolation was very great and even pigeons were used to send messages. The film was actually shot in Portland in mainland Victoria due to the realities of production, but it doesn’t alter the stunningly stark look and feel of the blasted surrounds. The acting is good and there are quite moving scenes, especially one between the two women. However, there is an uneasy sense at the end of the glacially-paced story that nothing much happened. I walked out thinking that there was so much that could have been done. People, alone on an island, in the middle of nowhere... and what we get is the equivalent of microwave dinner for one. Could there have been, at least, a predictable happy-ending-love-story that makes everyone feel giddy? Instead there’s a deliberate, contrived effort to be off-centre but in a cutesy, non-confronting way. There are elements to be enjoyed, but it feels like a half-baked, going-nowhere film, as flimsy, flighty and irritating as the lead character.